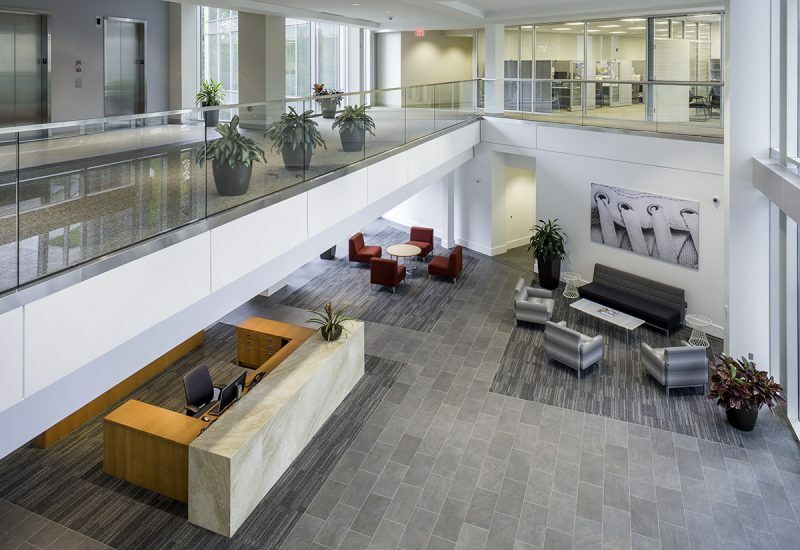 When J•PA designed Rack Room Shoes’ original 67,000-sf Charlotte headquarters facility in the mid-1990s, the four-story structure incorporated the sophisticated architectural style of the Division’s German parent company’s headquarters. 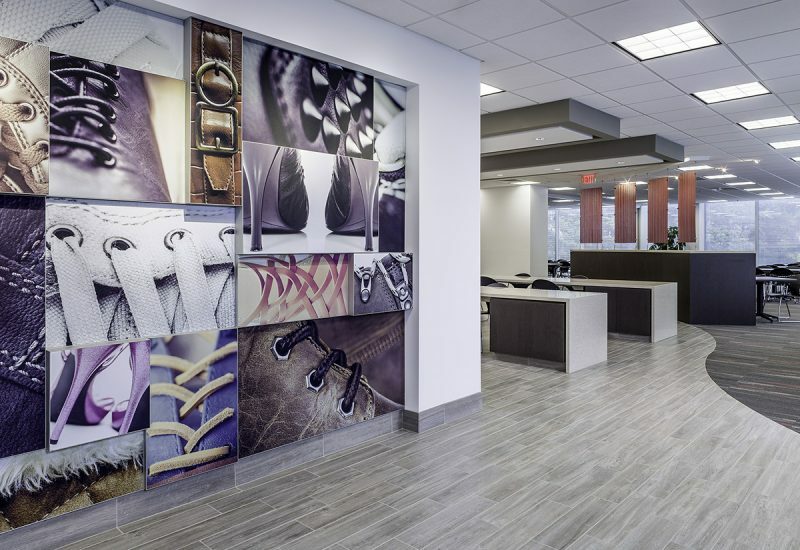 In 2015, J•PA once again worked with Rack Room Shoes to update the existing facility and deliver the 67,000-sf Phase 2 Building, mirroring the existing facility. 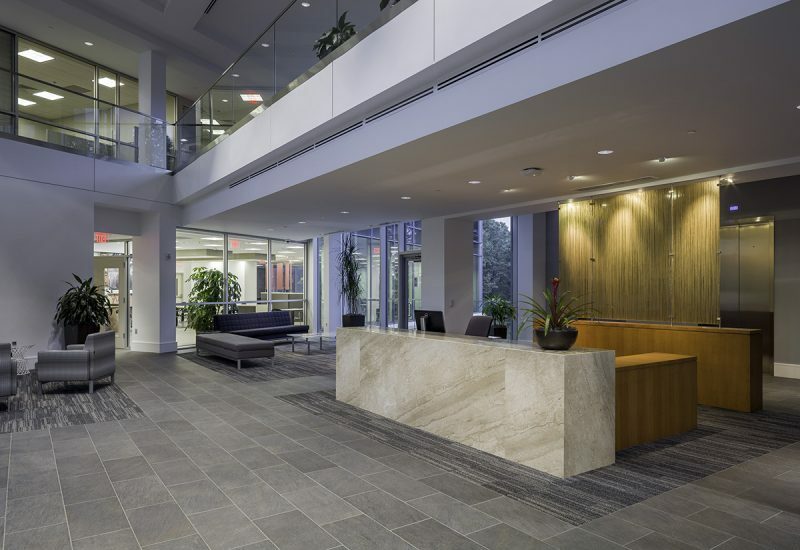 A 9,000-sf glass connector / lobby atrium joins the two buildings and establishes a dynamic new front entry to the corporate complex. 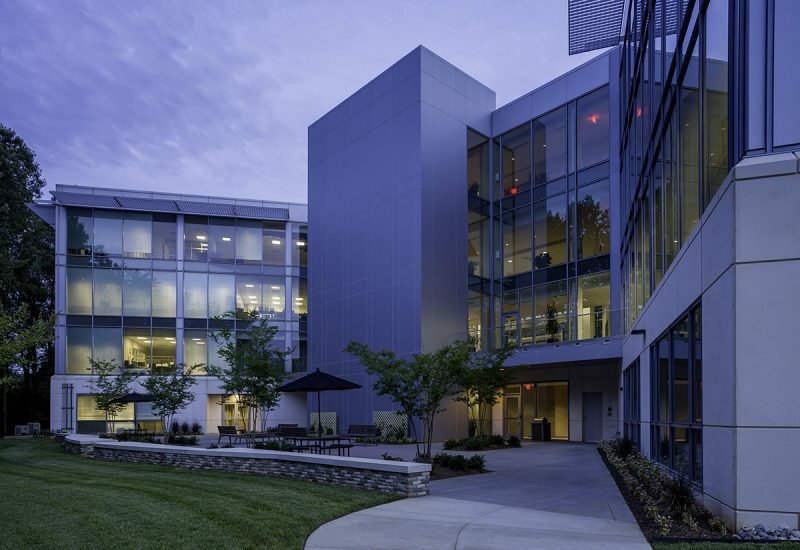 This expansion allowed the firm to relocate the headquarters of its Off Broadway Shoe Warehouse subsidiary from Georgia to the Charlotte campus.